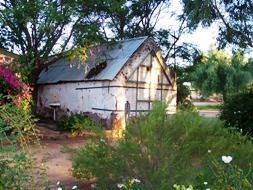 Information about the history of Murchison House Station Kalbarri Western Australia. The rich history of Murchison House has been shaped by the hands of pioneering battlers, wealthy wool merchants and even an Indian Prince! Today it is a family owned and operated venture endeavouring to continue the pastoral traditions and offer visitors an insight into outback life. Murchison House Station was founded in 1858 by Charles von Bibra to provide meat and wheat to lead miners at Galena, beef to the growing Perth market and remount horses to the British army in India. 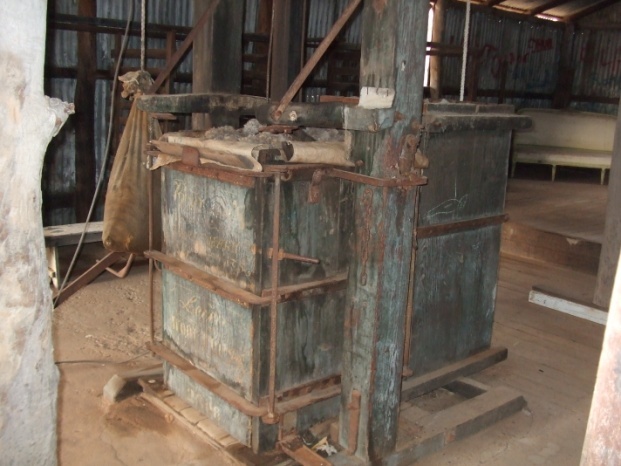 The original shearing shed also dates back to the 1860’s. In its heyday up to 35000 sheep would be brought to this shed for shearing. Features include the extensive use of Oregon pine and the 100 year old wool press and wool classing table. A surprising collection of military vehicles, earthmoving equipment vintage cars and farm machinery has found a final resting place on Murchison House Station. "Depreciation Row" showcases an assortment of machinery worn out by a life on the station. There are several graves at the homestead cemetery, some marked by impressive headstones, others not marked at all. The graves pictured are those of R.N. Fawcett and E.W. Broad, the pilot and mechanic aboard one of three aeroplanes participating in Australia first commercial air service in 1921. They were tragically killed when their plane crashed not far from the homestead.